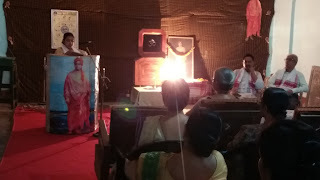 "Sampriti" - a wing of Vivekananda Kendra Kanyakumari, Assam Prant organised a talk on Sister Nivedita on 4th December at Vivekananda Kendra ,Panbzar. Ad.Shraddha Vayas Patil spoke on Sister Nivedita. About twenty eight karyakartas were present for the program. 2. 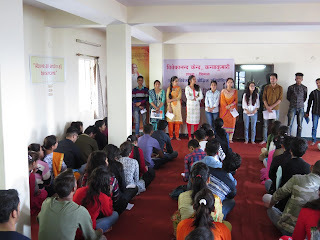 Bhagavadgita recitation competition was organised on the occasion of Gita Jayanti on 29th November, in which 42 students from 7 schools and 38 parents also participated. 3. 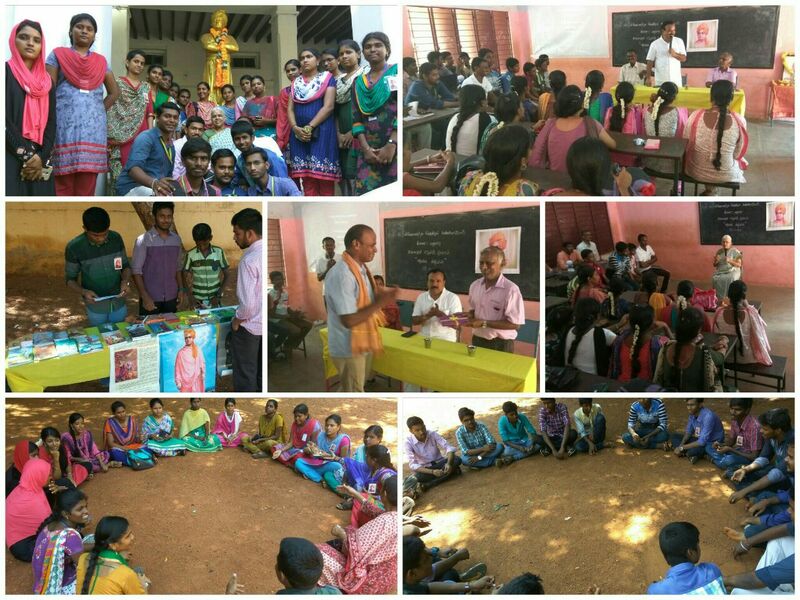 Swadhayaya examination conducted for Karyakartas, 12 karyakartas wrote. Book: Ma. Eknathji- Uttama Manava. 4. 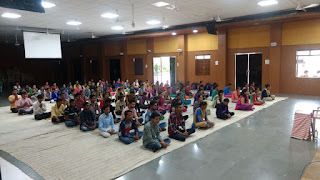 Swadhayaya examination conducted for Samskara varga students in which 80 students from 5 samskara varga attended. 5. 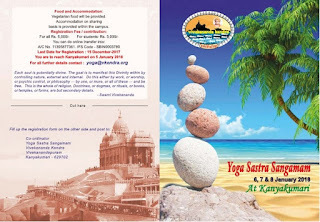 Gita Jayanti celebrated in all Samskara vargas- 7 places. 6. Kutumba Probodhan was organised on the occasion of Gita Jayanti. 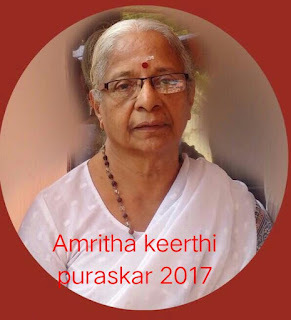 Prof. K Keshavamurthiji, Retd. 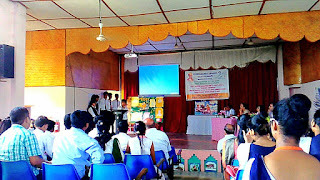 Principal talked on this occasion. 7. 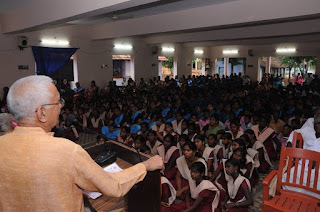 Swadhyaya examination was conducted at Amrita Vidyalayam in which 146 students participated. Smt. Katyayani Didi co-ordinated the examination. 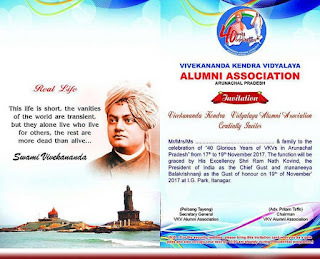 Book: Incidents from the Life of Swami Vivekananda. 8. 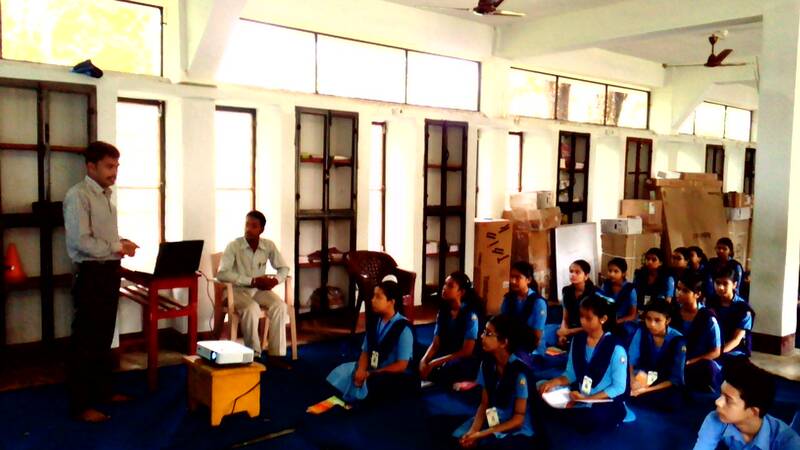 Swadhyaya examination was conducted at Deepa School, Roopanagar in which 48 students participated. Smt. Geeta Didi co- ordinated the examination. 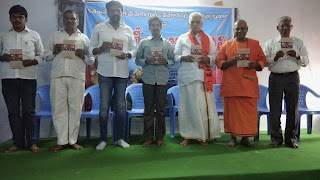 Book: Swami Vivekananda Jeevana & Sandesha. 9. 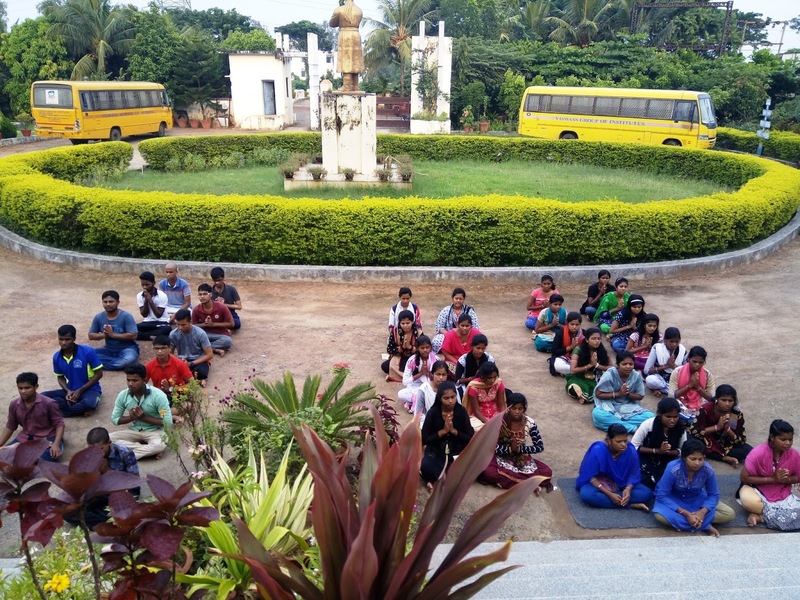 Swadhyaya examination was conducted at Samskriti Gurukula, Mandya in which 55 students participated. Kum. Sindoora Didi co-ordinated the examination. 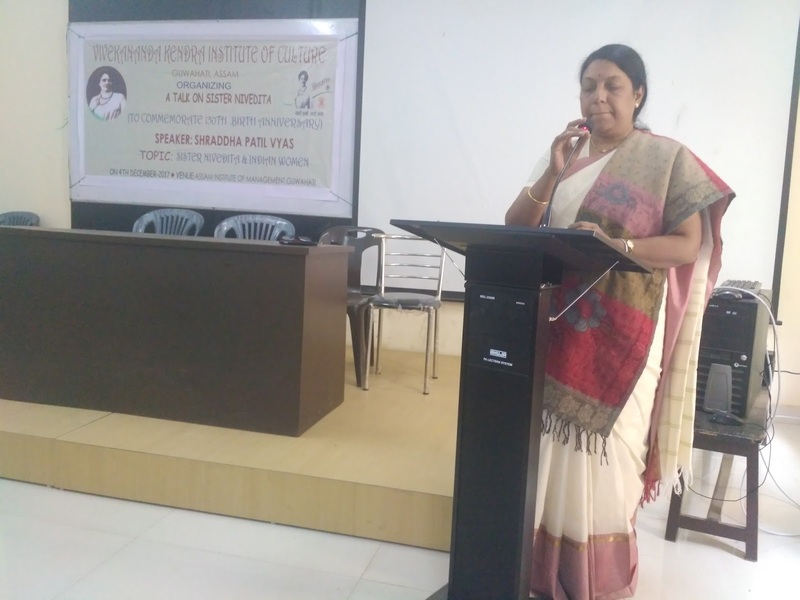 A talk on Sister Nivedita was organised by Vivekananda Kendra Institute of Culture at Assam Institute of Management on 4th December at 11 A.M. Mananeeya Shraddha Vays Patil from Mumbai delivered the oration which centered on the subject- "Sister Nivedita and Indian Women"
Sixty eight management students along with four karyakartas took part in the event.To spread the message of Swami Vivekananda the book "Vijay Hi Vijay" was given to the students. 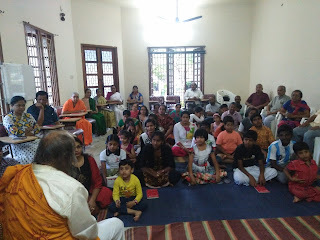 A week long study of Karmayoga Shloka Sangraha and Gita Chanting in Sree Mahaganapathi Sewashramam by Anandalaya students was the programme. 25 people participated in the programme. 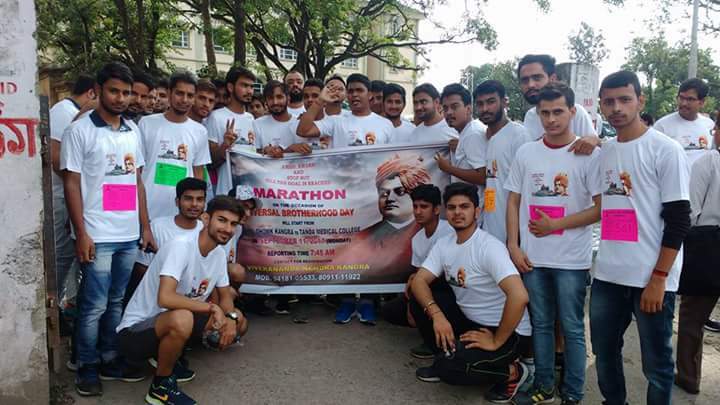 विवेकानन्द केन्द्र कन्याकुमारी की शाखा-दिब्रुगढ़ केन्द्र कार्यालय में मा० एकनाथजी की जयंती 19 नवम्बर को साधना दिवस के रूप में मनायी गयी। कार्यक्रम की शरुआत तीन ॐकार एवं शांति पाठ से की यी। उसके बाद केन्द्र प्रार्थना के सभी पंक्तियों को क्रमशः पढ़ते हुए उसकी अर्थ सहित व्याख्या की भी गयी। चर्चा में कार्यकर्ताओं ने प्रार्थना के भाव को हृदयंगम करते हुए अपने दायित्व को शरीर का एक अभिन्न अंग मानते हुए उसे पूरी निष्ठा के साथ पालन करने का संकल्प लिया। साथ ही साथ एकनाथजी के उस वाणी को भी स्मरण किया कि हमारा भारतवर्ष में जन्म क्यों हुआ ? हम इस संगठन में क्यों आएँ? अतः हमारे मानव जीवन का कुछ निश्चित ही अद्वितिय उद्देश्य हैं! 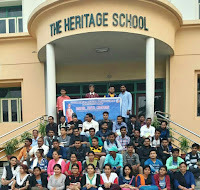 Vivekananda Kendra Kanyakumari, Paschim Banga Print organised one day Leadership Development Program at Heritage Group of Institutions Campus in South Kolkata on 3rd December 2017. 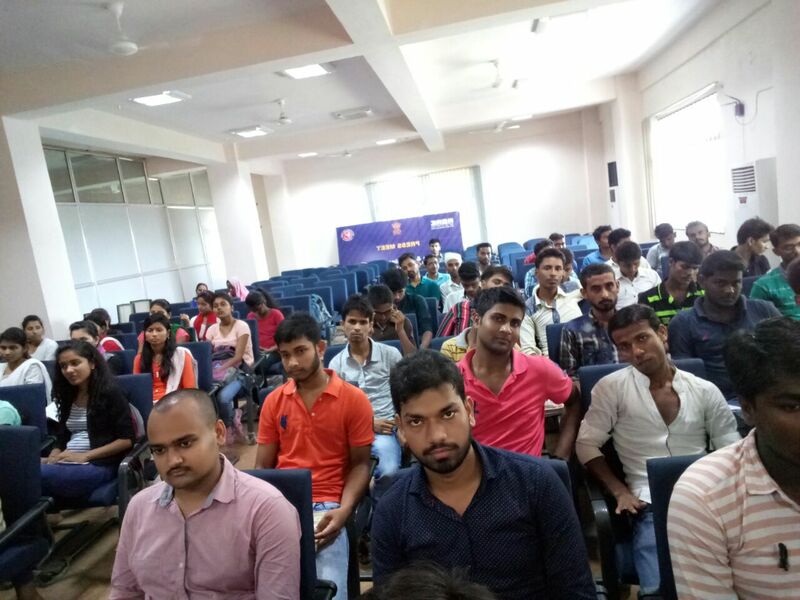 The Leadership Development Program was attended by 45 Participants from Colleges and Universities all across West Bengal and 13 Karyakartas. 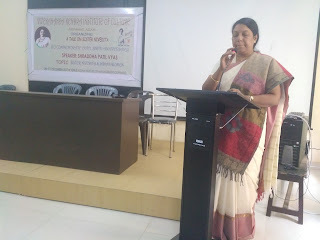 The Program started with an inaugural lecture by Dr Rajashree Shukla, Professor, Department of Hindi, Calcutta University. 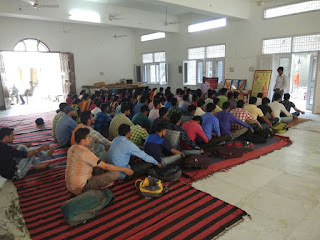 The daylong program was from 11.00 a.m. to 4.00 p.m. with included lectures, film shows, sports, yoga followed by lunch and then the concluding lecture was given by Prant Sanghathak Sri Manoj Das. 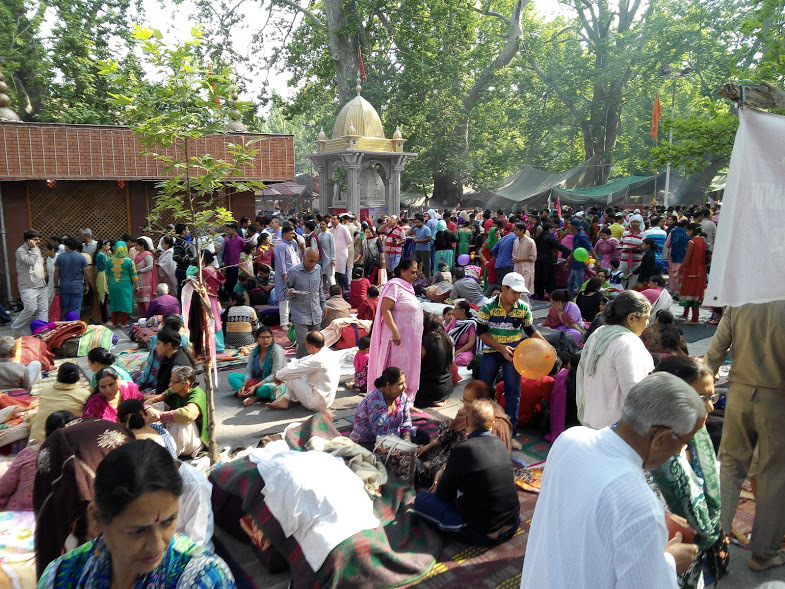 विवेकानन्द केन्द्र कन्याकुमारी शाखा भागलपुर द्वारा माननीय एकनाथ जी जयन्ती मारवाड़ी महाविद्यालय के सभागृह में ये कार्यक्रम आयोजित किया गया इस अवसर युवा सम्मेलन का आयोजन भी किया गया कार्यक्रम में मुख्य वक्ता के रूप में प्रान्त बिहार-झारखंड सम्पर्क प्रमुख आ. विजय वर्मा उपस्थित रहे कार्यक्रम की अध्यक्षता राष्ट्रीय सेवा योजना के विश्वविद्यालय प्रभारी दीपो मेहता द्वारा की गई ! आ.विजय वर्मा द्वारा एकनाथ जी के जीवन पर प्रकाश डाला गया औऱ उन्होंने बताया कितनी विपरीत परिस्थिति होने के बाद भी समाज के सहयोग से एक भव्य स्मारक बन कर तैयार हुआ इस स्मारक को वनबाने में मुख्य भूमिका माननीय एकनाथ जी की रही ! Yoga Pratiman "Pariksha De Hanste Hanste" was conducted by Vivekananda Kendra Dibrugarh at Centre for Social Work studies of Dibrugarh University from 30th October to 3rd November"2017. A total of 22 No’s of PG students participated in the workshop. oi. The feedback we received from the participants as well as from the institution are very satisfactory & encouraging for us as well. The program concludes with santi mantra. Last year, India celebrated Pt.Deendayal Upadhyaya’s birth centenary. Deendayalji conceived the political philosophy Integral Humanism. The philosophy advocates the simultaneous and integrated program of the body, mind and intellect and soul of each human being. His philosophy of Integral Humanism, which is a synthesis of the material and the spiritual, the individual and the collective. He visualised for India a decentralised polity and self-reliant economy with the village as the base. In this issue we have given a few famous quotes of Pandit Deendayalji. 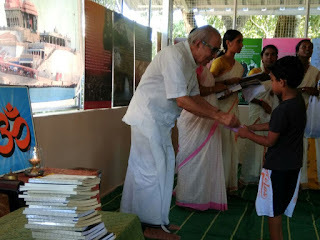 Shri.N.Krishnamoorthy covers the topic of ‘Greening to the Grass Roots’ by way of the usual dialogue between Srimati Annapurna Duval, Shri Krish Phidal and Professor Jnani Noval. In happenings section, we have covered training programmes in Azolla technology, NPK rich Bio-manure preparation, Bio-gas technology and Networking etc. In the wisdom section, Winin Pereira & Jeremy Seabrook, Founders of the Centre for Holistic Studies in Mumbai ridicules the present model of development and calls it “Turning the Clock back”, Fritjof Capra, World famous Physicist tells us that humans are just one particular stand in the web of life and finally Dr.H.R.Nagendra, Expert in the field of Yoga mocks at the theory of Calorie advocated by the Britishers. For reading the newsletter, please click here. 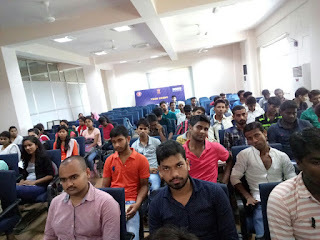 The Programme was well attended by the technocrats from the major Energy Companies operating in the region, students & faculties from select Institutions of Assam and the officials from Assam Science Technology & Environment Council & Assam Energy Development. A panel of highly knowledgeable experts conducted the Conference. 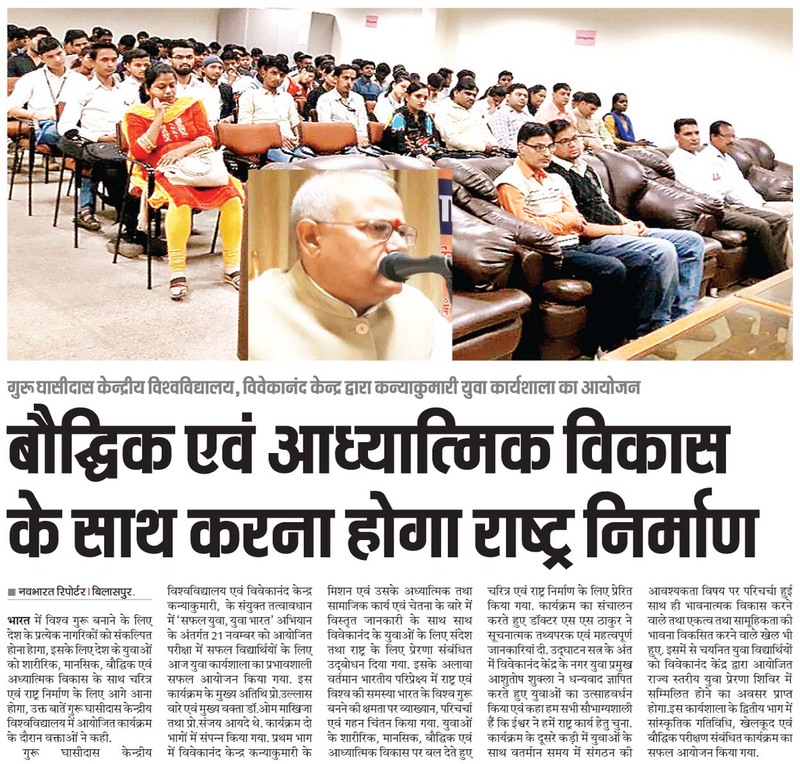 Dr Harsha Bhattacharyya, Medical Director, Sri Sankaradeva Nethralaya, Chief Guest in his speech in the Inaugural session encouraged Vivekananda Kendra’s effort to organize a Conference of such magnitude on a very apt theme of “Future Energy”. He also hailed Energy companies, the Institutions, ASTEC & ADEA for their whole hearted support and participation. He hoped that such effort will accelerate the awareness build up process on Future Energy. 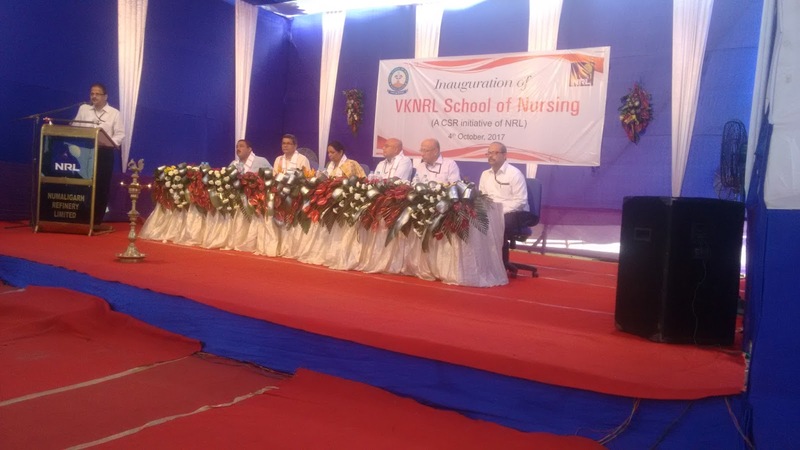 Sri Dipok Kr Barthakur, Chairman, Vivekananda Kendra Institute of Culture & Chairman, VKNRL Hospital, Numaligarh also attended the Inaugural programme, and wishes a grand success of the Conference. There were all together seven presentations on Future Energy by the participants and there were very useful interactions among the participants. Besides OIL India, Numaligarh Refinery Ltd and Guwahati & Bongaigaon Refinery of IOCL, there were presentation on the theme by NIT, Silchar, IIT Guwahati and ASTEC & ADEA. Dr Arup Kumar Misra, Director, ASTEC & ADEA), Dr V S Moholkar, Professor and Head, Dep of Chemical Engg and Centre for Energy, IITG and Prof P C Baruah, Head, Dept of Energy Engg, ASTU are the Panelist for the Conference. The Panelist during their turn mentioned that the standard of the presentations are very high and there were fruitful interactions among the participants..
An E-Souvenir was also released as a part of this Conference. All the participants appreciated the effort of Kendra. 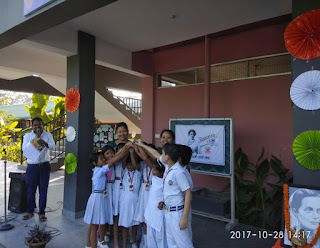 Vivekananda Kendra Vidyalaya venerated Sister Nivedita on her 150th Birth Anniversary by organising different events concurrently at school and Khelmati High School, Tezpur. A team of four teachers and twelve students went to Khelmati High school, Tezpur where they first had an interactive session with the students of that school followed by Geet Abhyas session, thought explanation of Swamiji and Sister Nivediata and a power point presentation on the edifying and ‘Sarthak’ life of Sister Nivedita. 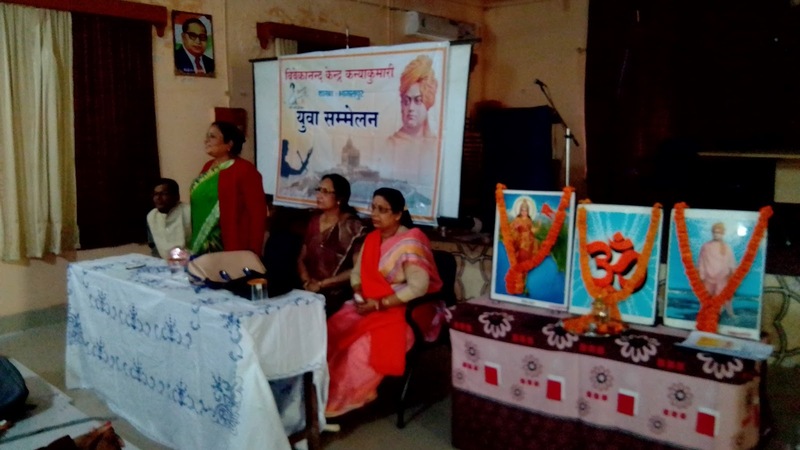 Smt Bivarani Deka Baruah, principal, Khelmati High School delivered a speech on swamij and Sister Nivedita. 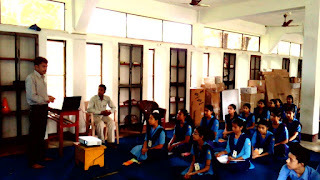 Mandira sing Das, Teacher, VKV Tezpur gave the overview of the program. The program was decorated by around 200 attendees. At school drama competition for class III, quotation writing competition for class IV, open Speech competition for class V and Nibandh Lekhan Saprdha for class VI, VII and VIII were held. Student’s participation in all the competitions was commendable. 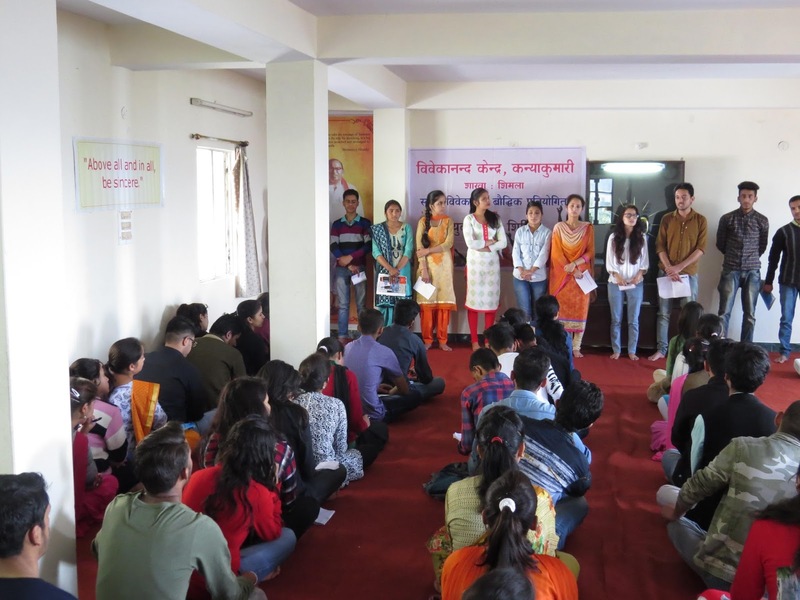 Inter-college declamation competition is organized on the occasion of universal brotherhood day at Vivekananda Kendra Ludhiana, Lord Mahavir homeopathic college, on 13th oct. 9 students participated in the competition. Dr Vinay Sofat chaired and chief judicial magistrate was the chief guest of the program. Principal of LMC was the special guest. 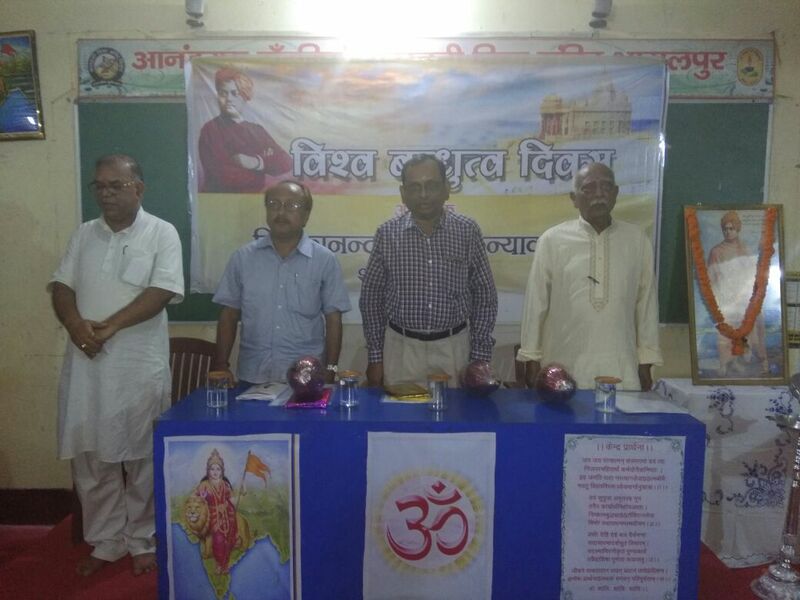 Vivekanada Kendra Bhivani celebrated universal brotherhood day. Program started with shantipath, followed by patriotic song. 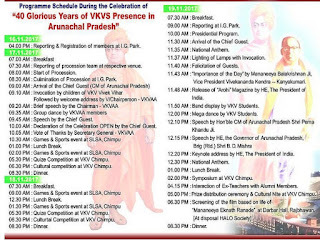 On this occassion, resitated the lecture of Swami Vivekananda. There was small discussion on it which is lead by Pro. 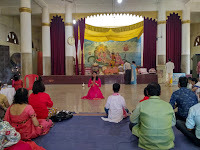 Lalsastriji. 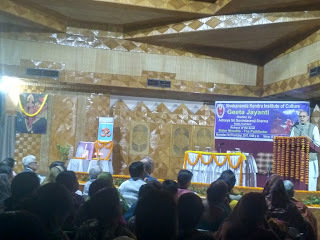 Program ended with Shanti Mantra. 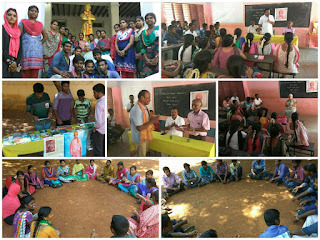 Vivekananda Kendra Thirivananthapuram celebrated Universal Brotherhood Day and Onam on 10 September 2017. Students of Anandalaya arranged Atthapukalam, a traditional flower arrangement in the morning. 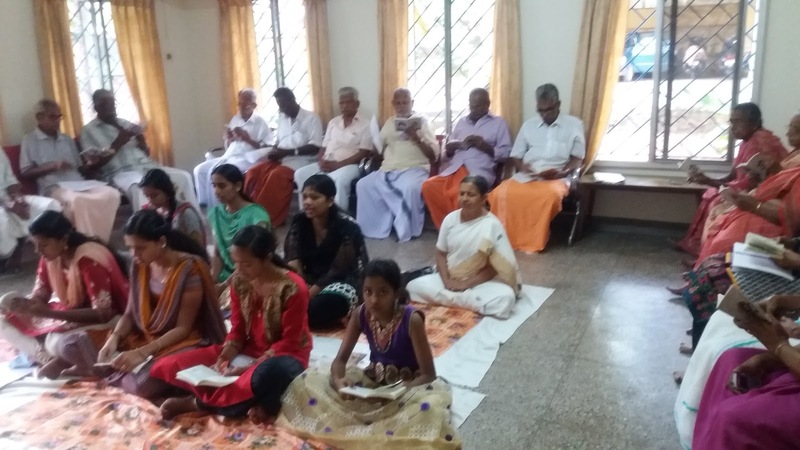 Onam Sadya,a special lunch for Onam was arranged for the families of Anadalaya students, Yoga Varga participants and other well wishers of Vivekananda Kendra Thiruvananthapuram. Exhibition of 31 panels on Life & Message of Bhagini Nivedita, Kridayoga, Thiruvathira, Drama, Lecture by Sri Ajit Kumar, State Convener, Sri Ramakrishna Bhava Prachara Parishad were the part of the day long programme. 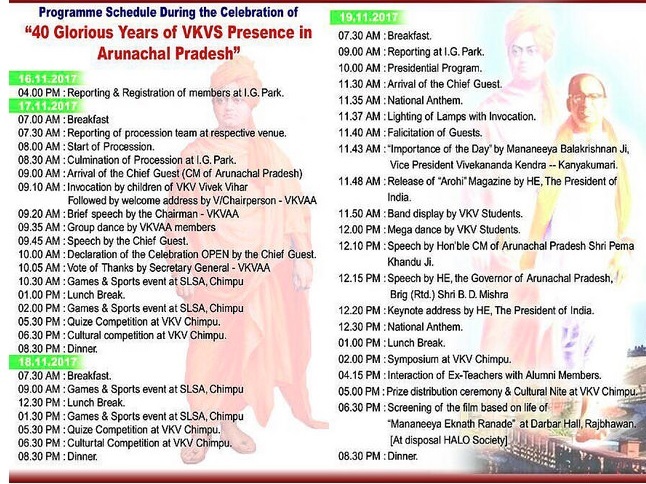 Entire programme was organized in the newly constructed hall in the Vivekananda Kendra premises. 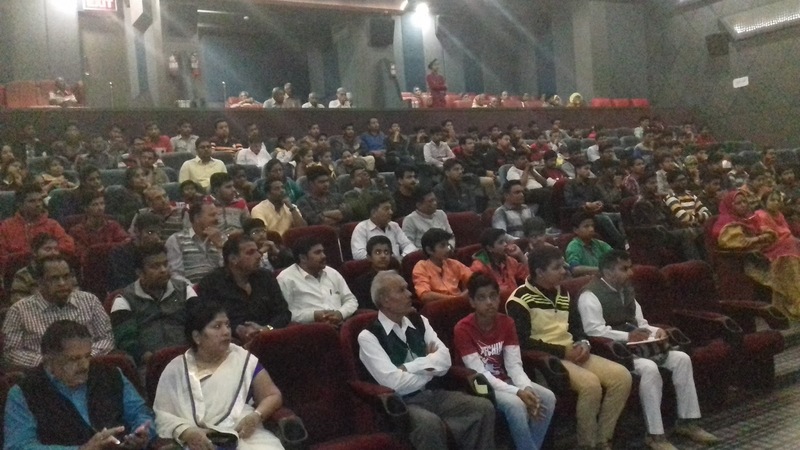 Around 100 people participated in the programme. 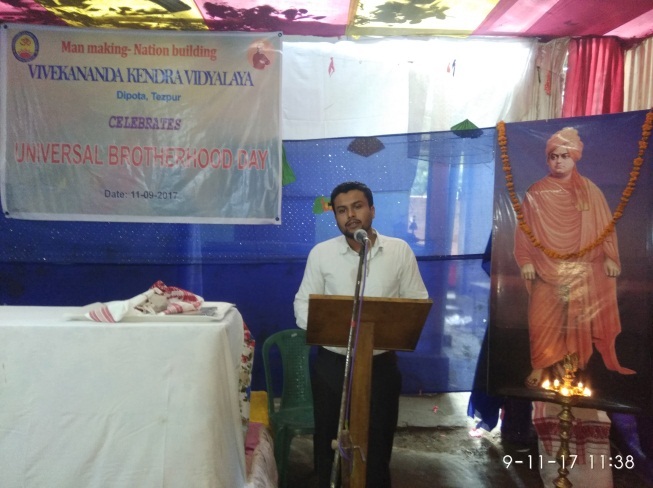 Vivekananda Kendra Kanyakumari, Tinsukia branch organized Universal Brotherhood Day at District Library, Tinsukia, Assam on 11th September 2017. 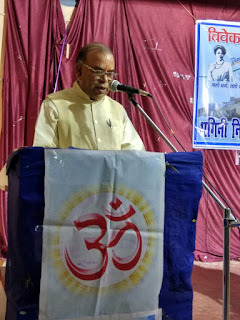 Sri Diganta Bishwa Sharma, an eminent speaker on Swami Vivekananda, graced the occasion as chief guest and key speaker. The programme was started with lighting the lamp and Borgeet, assamese devotional song composed by Sri Sri Madhab Deb followed by Jhumur, a traditional folk dance. 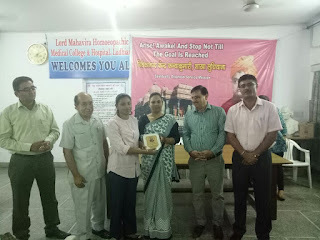 The Principal of Vivekananda Kendra Vidyalaya, Tinsukia welcomed the dignitaries and they were felicitated with Assamese traditional Gamocha. Dr.P.S.Das , Nagar Sanchalak of Vivekananda Kendra ,Tinsukia explained the significance of the day. Sri Debobroto Dey, Deputy Superintendent of Police, Tinsukia spoke a few words about Swami Vivekananda. 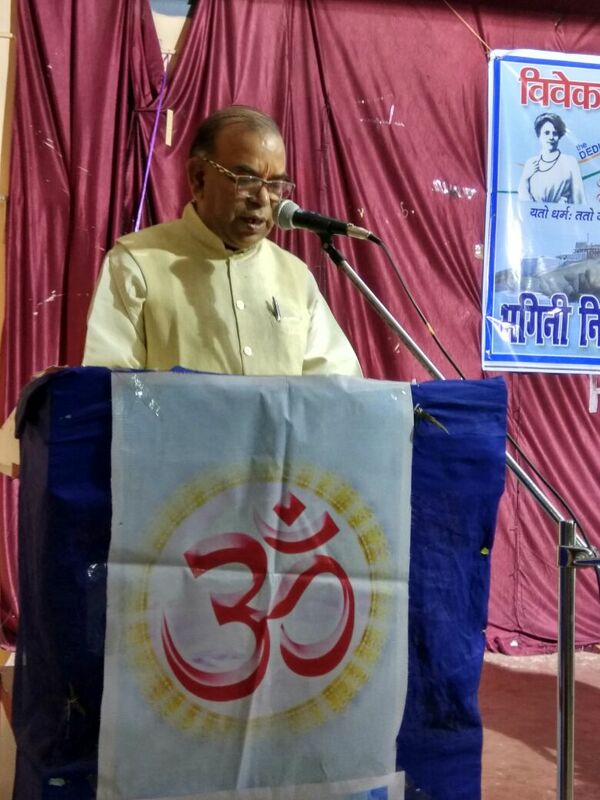 Pravin Dabholkar, All India Joint General Secretary of Vivekananda Kendra beautifully spoke about Vivekananda Kendra, its vision and mission and how it is working for the actualization of Swamijis dream to make Bharat Mata Jagatguru. 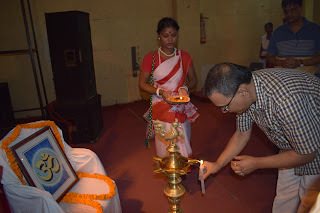 Sri Diganta Bishwa Sarma, through his mesmerizing speech enthralled the august gathering. His deep knowledge and wisdom was palpable in his speech. 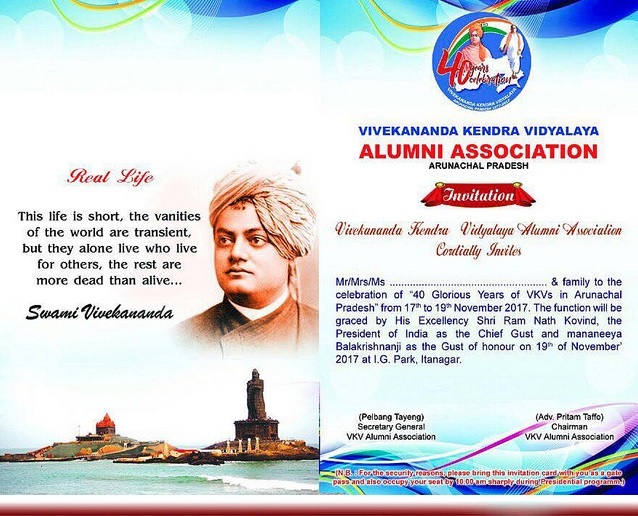 He explained how Swami Vivekananda inspired millions of youths across the globe to serve the poor and needy. 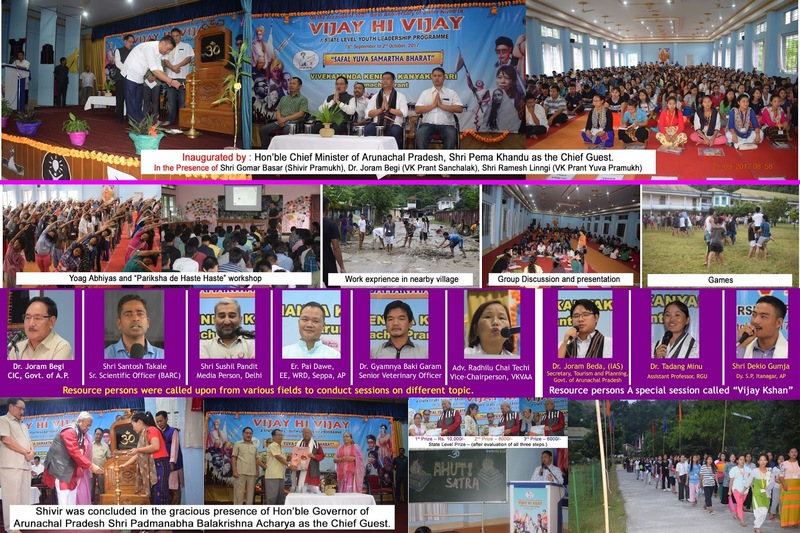 Vote of thanks was delivered by Sri Monoj Bajaj, Nagar Pramukh, Vivekananda Kendra, Tinsukia. The programme concluded with Santipath. After the conducting Open book examination at different collages in mehsana -One Day Youth Motivational Camp was organized under SafalYuva Samarth Bharat programme. Anchoring was done by Shri Aashishbhai Thakar. 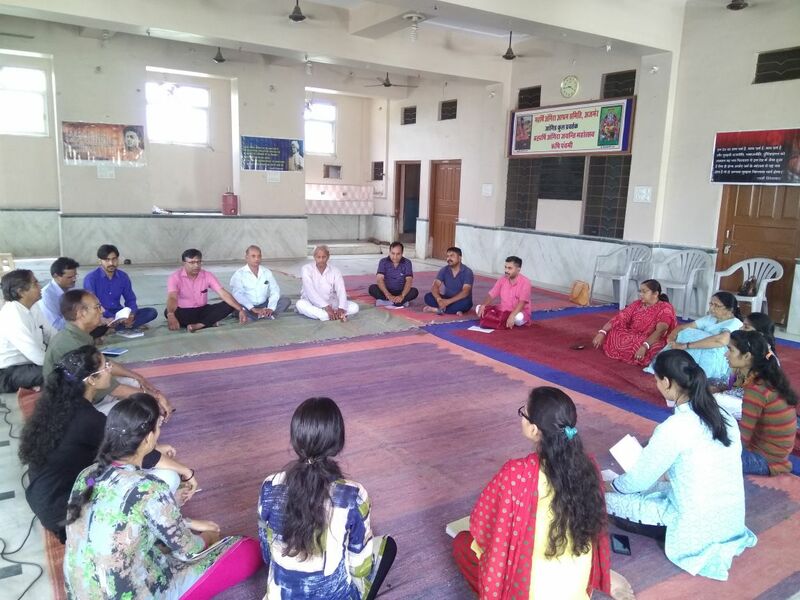 Games, Songs, Suryanamaskar, Inspirational Lectures, Group Discussion were main activities of the camp.the swadhyay was held on 'Bharat ne Vishvaguru Banavama aapni bhumika'. 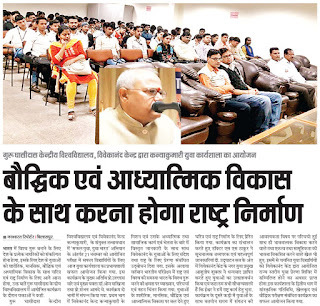 Shri Lokesh Keshre requested students to be a contributing personality of the society. Shri Monasbhai Thakar delivered an inspirational talk to the students also Certificates were distributed to the students in the august presence of Monasbhai Thakar, yuva pramukh Ahemdavad vibhag and prof. at Babasaheb Ambedkar open university Ahemdabad. 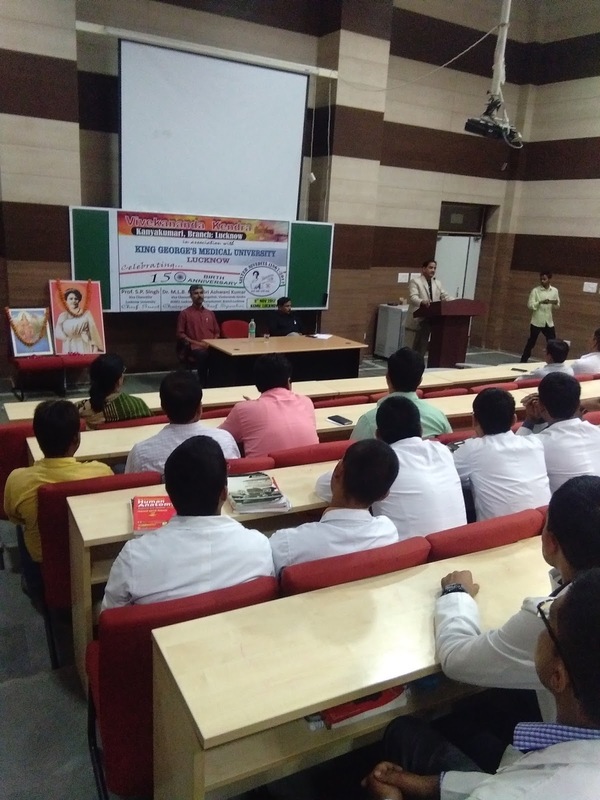 First phase : Book base examination on - Life and Teachings of Swami Vivekananda on 2nd sept. 62 students from various depart of HPU, Kotsera, Sanjoli and RKMV college. Second phase : 4:30 hours Special orientation workshop having group discussion and presentation on subject like Indian culture, modernization, Power of youth and purpose of life. 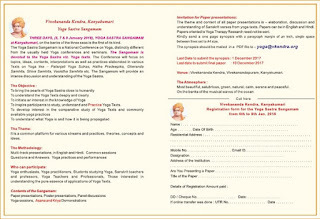 Songs, drama and Yogasana are the part of workshop. 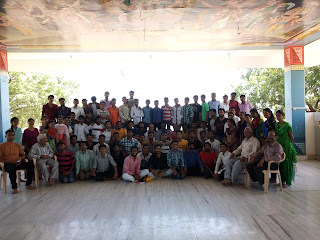 : 54 students from various Dept. 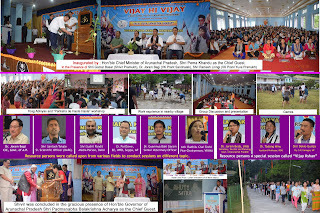 of Himachal Pradesh University, Govt Degree COllege, Kotsera, Govt Degree College, Sanjauli and Rajkiya Kanya Maha Vidyalaya (RKMV) college. The Swasthya Seva Manch(Health Service Forum) of Vivekananda Kendra Kanyakumari, Uttar Poorvanchal organized a free Cochlear Implant (a very expensive imported lifelong hearing device) programme for deaf and dumb children in association with Max Hospital, Saket, New Delhi and Snehalaya, an NGO of Tinsukia working in the field of differently able persons . Dr. Sanjay Sachdeva, Head of ENT and Head & Neck Surgery, Max Hospitals, visited Tinsukia in the month of May 2017 to screen patients. In the screening camp six children were selected by him for the surgery. After counseling the parents, it was decided that three children will be send to Delhi for surgeries in July 2017. Accordingly Urmi Moran (2yrs.and7months), Ristina Buragohain(4 yrs.) and Arpita Gogoi(4yrs.and 6 months) were sent to Delhi along with their parents and on 30th July, they got the approval for surgeries. In next three days, they were operated at Max Hospital, Delhi by Dr.Sachdeva and his highly skilled and dedicated team and the internal part of the device were successfully implanted. After two days, they were sent back home. After four weeks they had to visit Delhi again to switch on the device and the 31st August 2017 was fixed for that purpose. 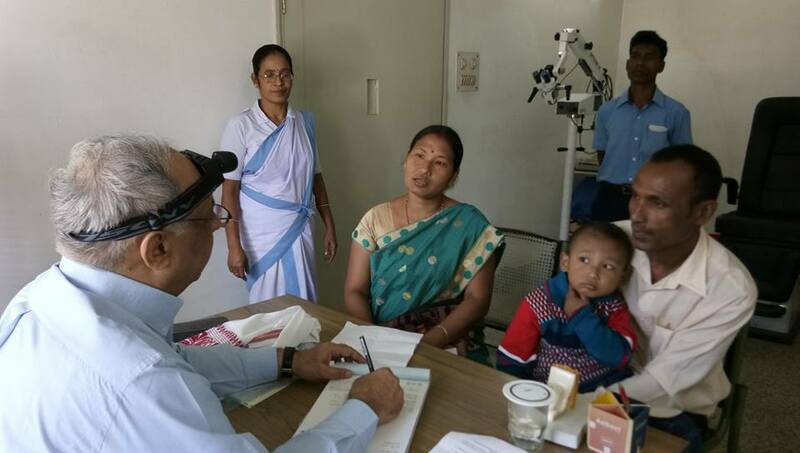 Accordingly they reached Max Hospital on that day and under the guidance of Dr.Shruti Sahni (Senior Audiologist) and technicians, the devices were switched on. It was a memorable moment for all of us to watch the reactions of the children, who were listening to sounds first time in their life. 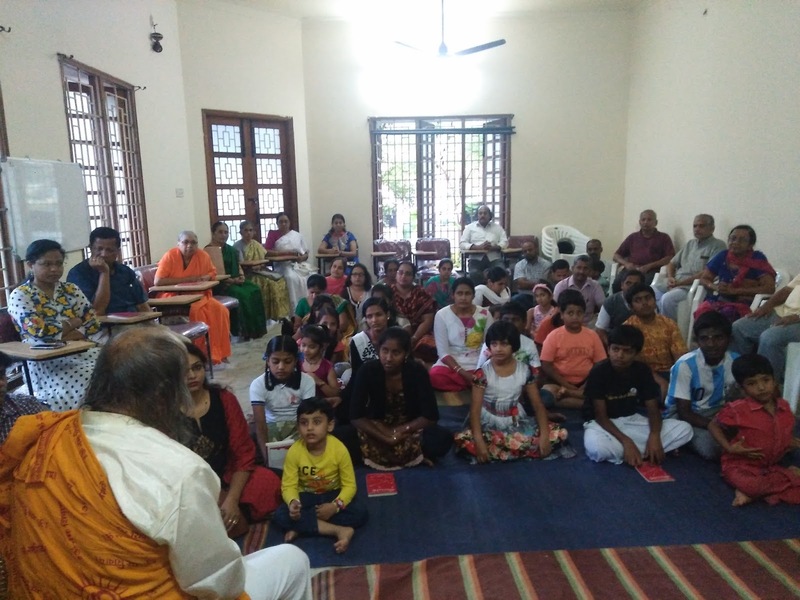 The third and very crucial part of this entire exercise is speech therapy, which will be given to these children very soon at Snehalaya free of cost. All these three children are from economically poor families background. 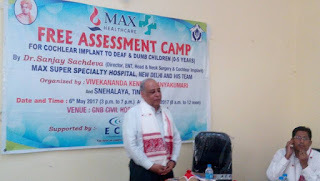 Without the help from Max Hospital, Saket,Delhi, Cochlear (Australian manufacturer of the device), Amplifone (Audiology experts) it wouldn’t had been possible to have these implants free of cost. In this endeavor a major setback occurred due to relentless flood which disrupted the train connectivity between North-East and the rest of the country. 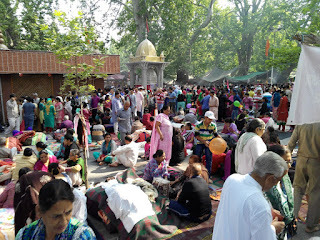 A moment came when we all despaired that the second trip to Delhi would be cancelled. At this crucial juncture the most encouraging incident occurred, when on our request the Prime Ministers National Relief Fund (PMNRF) immediately reserved flight tickets for children and parents to Delhi. After the successful completion of the first phase, we are planning to organize the second screening camp in October 2017 to find more economically poor deaf and dumb children. 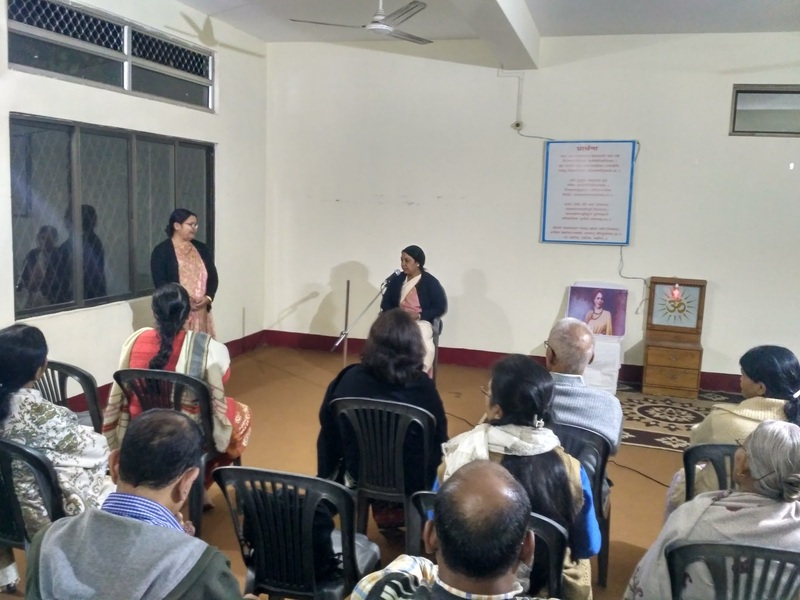 Feeling the need of this area for more such programmes Dr Sachdeva has offered all possible assistance to treat more deaf and dumb children and help them to lead a normal life. Vivekananda Kendra Pashimbang Prant launched the IGNITED YOUTH Campaign (A Leadership Development Training Project) on 25th August at Ramkrishna Mission Vivekananda University, Belur Math on the presence of Pujya Swami Atmpriyananda Maharaj (Vice Chancellor), Capt. 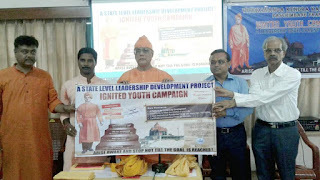 (Retd) Jashodeep Bhomik, Shri Manoj Das (Prant Sangathak of Pashim Bang Prant of Vivekananda Kendra). The program was attended by 55 youth from different colleges. Shri Avijit Das (Director-Camellia Institute of Technology & Management) & Prof. V. K. Tewari (H.O.D. Agriculture & Rural Development Dept. 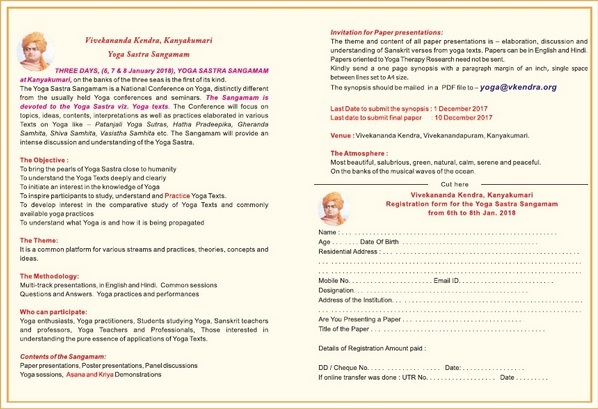 IIT, Kharagpur) grace the inaugural program.